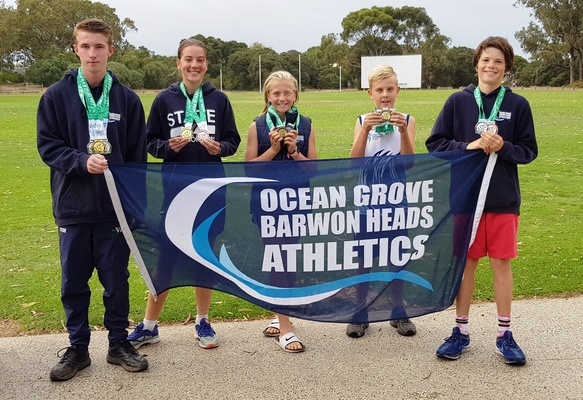 Ocean Grove Barwon Heads Little Athletics Club held its end of year presentation on Friday 29 March and the club had real reason to celebrate this year. For the first time in its history (nearly 50 years) OGBHLAC won this year’s Top Club at the Geelong Little Athletics Centre (GLAC), fending off Grovedale, Peninsula, South Barwon, Geelong Guild, East Geelong, Manifold, Leopold and Chilwell to take out the coveted prize. OGBHLAC’s President Ruth Payne (PHOTO) was over-the-moon when the winner was announced. ‘When my husband and I got involved with OGBHLAC some seven years ago, the club was struggling, with only 12 registered little athletes,” Ruth said. 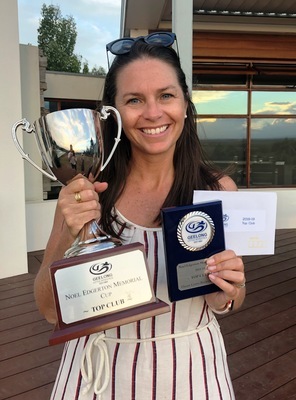 “After a real focus on marketing little athletics as a Tier-1 summer sport to our local area, and a lot of hard work and dedication by a succession of committee members, we reached 70 little athletes last year, and took out the Most Improved Club Award at GLAC. OGBHLAC prides itself on the Little Athletics Victoria motto of ‘Family, Fun and Fitness’, and encourages its little athletes to ‘be their best’. The club rewards little athletes for personal bests (PBs) throughout the season, ensuring that little athletes of all abilities can challenge themselves week-in, week out. But this year, there were some absolute standouts at the club, some of which went on to win individual state medals at the Little Athletics Victoria (LAVIC) State Championships held at Casey Fields in early March. 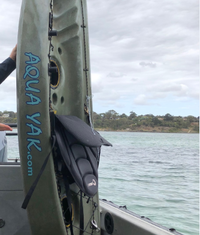 Joshua McOuat and Michaela Payne were this year’s boy and girl OGBH club champions respectively, with McOuat rewriting the record books – smashing 8x U13B club records in the process. Both McOuat (U13B) and Joshua Payne (U14B) were nominated to represent the Victorian Little Athletics squad at this year’s Australian Little Athletics Championships in Hobart in May. OGBHLAC is always keen to hear from budding little athletes interested in joining the club. Go to the Facebook page @OGBHLittleAthletics to register your child’s interest for the 19/20 Season, which kicks off in October. OGBHLAC Age Group Champions 2019: Quinn Davidson U8G; Arhlia Cvetkovski U9G; Zahlia Heikkila-Dubowik U10G; Evie Lewry U11G; Michaela Payne U12G; Erin Foley U13G;Sienna Wrench U14G; Jude Lewry U9B; Angus Jones U10B; Zander Zurawel U11B; Forbes Gilmour U12B; Joshua McOuat U13B; Declan Foley U14B. OGBHLAC Age Group Runner-Up 2019: Mikayla Grunberg U9G; Addison Lewis U10G; Sienna Davidson U11G; Melody Davidson U12G; Greta Jones U13G; Amelie Parfitt U14G; Isaac Schammer U9B; Xavier Johnson U10B; Darcy Harrington U11B; Ashton Blount U12B; Josh Royle U13B; Joshua Payne U14B. OGBHLAC PB Winner 2019: Quinn Davidson U8G; Arhlia Cvetkovski U9G; Zahlia Heikkila-Dubowik U10G; Evie Lewry U11G; Michaela Payne U12G; Erin Foley U13G; Sienna Wrench U14G; Isaac Schammer U9B; Angus Jones U10B; Zander Zurawel U11B; Dane Greaves U12B; Joshua McOuat U13B and Josh Royle U13B; Declan Foley U14B. OGBHLAC PB Runners-Up 2019: Alice Garland U9G; Addison Lewis U10G; Sienna Davidson U11G; Melody Davidson U12G; Greta Jones U13G; Amelie Parfitt U14G; Jude Lewry U9B; Xavier Johnson U10B; Keegan Johnson U11B and Noah Schammer U11B; Forbes Gilmour U12B and Ashton Blount U12B; Joshua Payne U14B.